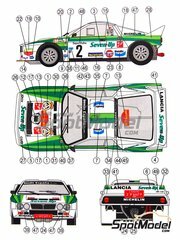 A remarkable kit and an essential one for all the 80s sport car lovers, now reedited by Hasegawa in a limited edition. 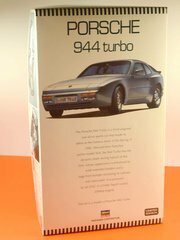 The kit includes a fully detailed and prepainted engine, simulating the aluminium engine block of the 944. The retractable headlamps allow for an open or closed assembly, and the floor and trunk mats come in a soft brown velvet already cut to the exact sizes. Can you resist? 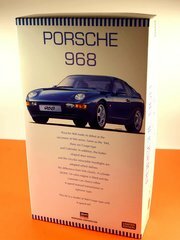 Finally Hasegawa has reedited this kit in a limited edition, for the joy of all german true sport car lovers. A good pile of parts fully recreate the engine, some of them already painted in aluminium tone. The inside also comes perfectly detailed, as well as the bottom of the car. Don't miss the most interesting Porsche from the nineties. 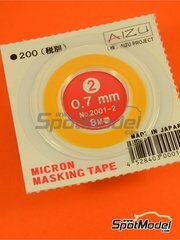 Do you need a really narrow masking tape? 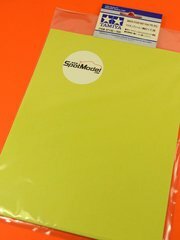 Are you tired of trimming your masking paper once and over again? 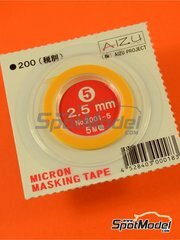 Use this wonder and problem solved: a masking tape just seven tenths of a millimeter width, and nothing less than 8 meters long. You're going to fall in love with it! 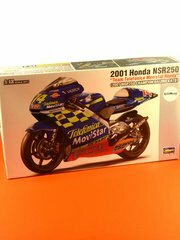 The decals, in addition of being spectacular and showing incredibly intense colors, are printed in Italy by Cartograf. And the kit features an truly enormous pile or parts, all of them really good looking and utterly detailed. Make sure you don't miss this kit now (it will be discontinued very soon), and don't forget the detail-up sets that Top Studio offers for this bike. Have you ever assembled a bike kit with actual gaskets? Or with milled, turned and anodized rims? Or assembled a chain one link after another? 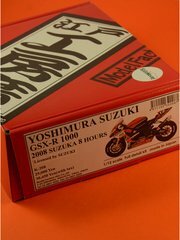 If you are well seasoned in scale models, you should try this new challenge, one of the most detailed and awesome motorbike kits ever released: the Suzuka 8 Hours winner Suzuki from 2008. The pictures just speak for themselves. At last!! 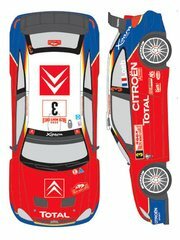 Finally here's the decoration for the Montecarlo Rally 2004, where Loeb once again arrived first at the finishing line. This decals set also includes Carlos Sainz's numbers. 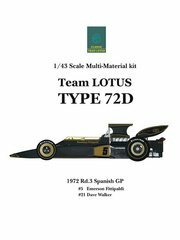 The legendary Lotus 72D on which Emerson Fittipaldi raced and won at the Spanish Jarama circuit, now recreated 1/43 scale in full detail: perforated front brake discs inside the front, DFV engine inlet trumpets, harness, electrical piping, rubber tyres, and much more. 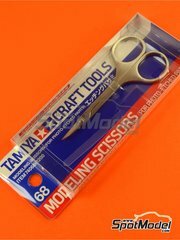 Warning: this kit is recommended for very experienced modelers only. It doesn't get more beautiful than the Lancia 037. And this decoration of the car that raced the Catalonia Rally with Salvador Serviá at the wheel is almost the canon of beauty. These decals also include green stripes for the bonnet and sides, although well seasoned modelers usually draw them with paint. Do you dare? 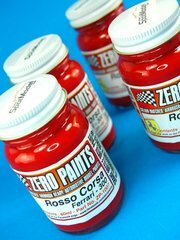 The all time Ferrari red, the Rosso Corsa used in both Formula One and many of the famous italian sport cars, now formulated by Zero Paints according to the Ferrari specifications . We recommend its application over Zero Paints pink primer to achieve even better results in the final tone.